For the past three years, Rassan Parris Jr. a fourth-grade student at R.V. Daniels Elementary has held the winning title of spelling bee champion. 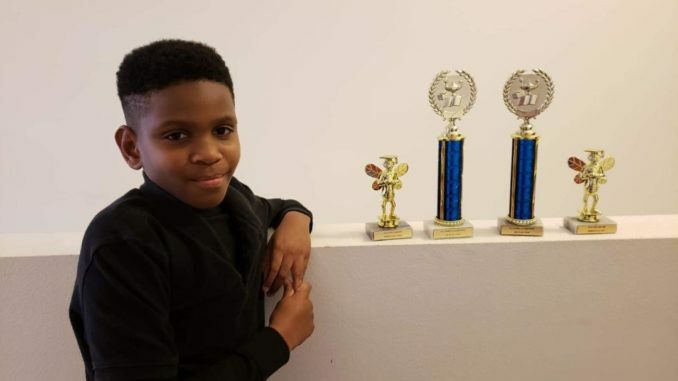 In the second grade he entered the annual competition where contestants are asked to spell a broad selection of words, usually with a varying degree of difficulty, so that he could learn how to better compete. The 2019 Scripps National Spelling Bee list has 450 words from grade levels 1-8. Fulcrum was one of those words. Parris said that with the help of his parents and through a lot studying he was able to prevail. The irony of this story is that Reading and Language Arts are not his favorite subjects. According to his parents, Rassan is an honor student that loves math, and wants to be an entrepreneur like his dad and carry on the family business. Spelling Bees build confidence, promote self-esteem and teach young spellers that with hard work and practice you can win your school bee repeatedly. “I tell students who want to enter their school’s spelling bee to practice every day. 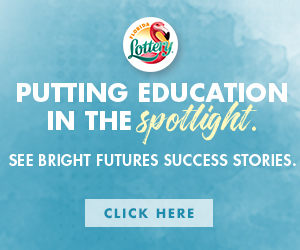 My favorite book is Harry Potter, that has helped me become a better speller,” said Parris. Shown is Spelling Bee Champion Rassan Parris Jr. with his awards.